…in seconds. Our fiendishly clever Fabric Finder makes finding your dream fabric an absolute doddle! Fresh as a spring daisy in 24 muted shades. Ultra hard wearing. A really unique fabric based on our bestselling Passione velvet. 15 terrific shades and ultra hard wearing. 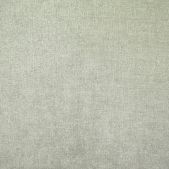 Reassuringly chunky, heavweight chenille in a whopping 32 colour options. Mamma Mia ! Wonderfully smooth texture. 24 stunning shades. Very contemporary look and ultra hard wearing. Vintage moquette style look given a superb modern makeover. 24 luscious shades, super hard wearing and machine washable. Heavyweight chenille in 24 stunning colours. Machine washable and ultra hard wearing. Astonishing looks and performance ! Machine washable, ultra hard wearing and can be cleaned with just water ! Independent customer reviews from Feefo. Take a look at what our customers say about us. Over 4,000 reviews and counting! Use our fabric finder to browse our fantastic range of over 1400 fabrics all stocked right here in the UK with free samples! To help make your decision even easier, we offer free samples on all our upholstery fabrics - including free postage anywhere in the world! The Modelli principle is simple - to offer clients the very finest quality upholstery fabrics at super prices, and to give the best possible service. 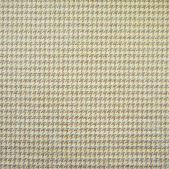 We carry extensive stocks of all our furnishing fabrics and only sell running lines which are exclusive to Modelli. Clients can rest assured that however long they need to decide on which fabulous upholstery and sofa fabric to buy, we will have goods available. 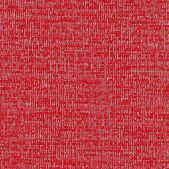 We buy all our upholstery fabrics direct from our worldwide network of trusted weaving mills. We stock them in the UK and sell direct to the public. Since we do not maintain expensive showrooms or employ teams of representatives, we eliminate many costs associated with our type of business and pass these savings on to our customers. Every fabric we sell has been subjected to the most rigorous testing in accordance with British Standard so you can be assured of excellent quality everytime. 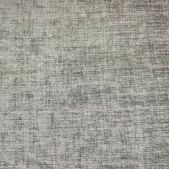 We now carry over 1,500 upholstery fabrics in stock and given this huge range we believe that we have just about the most comprehensive selection of upholstery fabrics to be found online. Not only that but with such a vast selection there is every chance that we will have the perfect upholstery fabric for you! Browsing couldn't be easier with our custom fabric finder which allows customers to really pinpoint what they are looking for.